Its epic mountains and endless prairies inspired America the Beautiful. 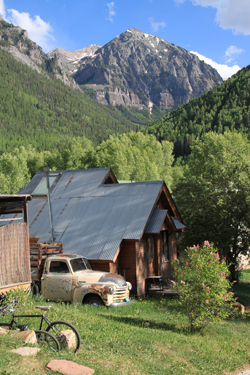 The place is legendary for skiing, snowboarding, rock climbing, mountain biking and fly-fishing. It's a training ground for world-class athletes and a brewing ground for world-class beers. And you can't beat a live show at Red Rocks or Telluride Bluegrass. But it's not all wildflowers and powder days. This state's got a grittiness too. Its history is full of unsinkable characters, and their resilient spirit lives on in unforgettable places from Colfax to Cortez. Take a good look around. Breathe deep. Drop in.